Your mandala practice will be inspired by the beautiful mandala art in our 2016 mandala calendars. 100 participants from 18 countries and 23 states from around the US contributed artwork for the first annual 100 Mandalas Calendars. These gorgeous calendars are available for instant download in our Etsy store. The hamsa symbol is a sign of peace, blessings, and protection. 10 contributing artists from the 100 Mandalas Community designed a hamsa symbol for this project. 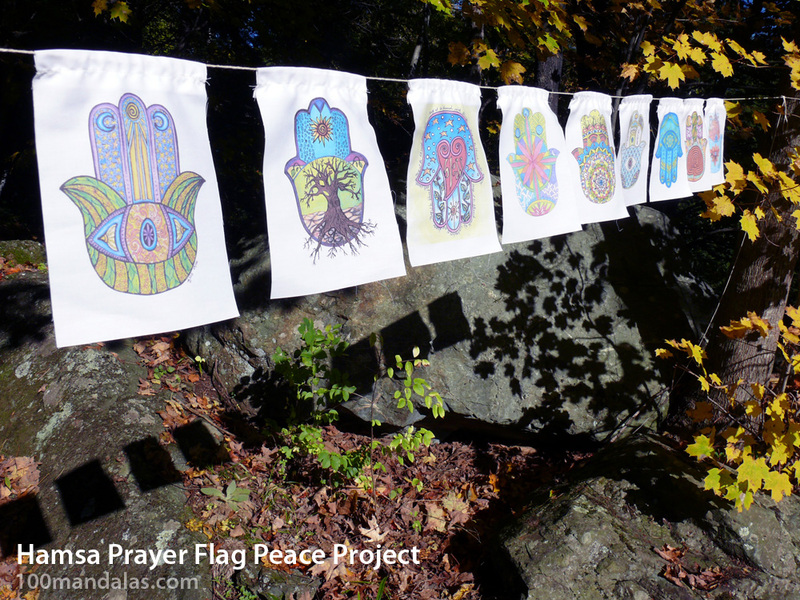 Instantly download the file and print your own set of prayer flags for your home, studio, or office. 50% of the sales will be donated to help provide relief for the Syrian and Iraqi refugees. 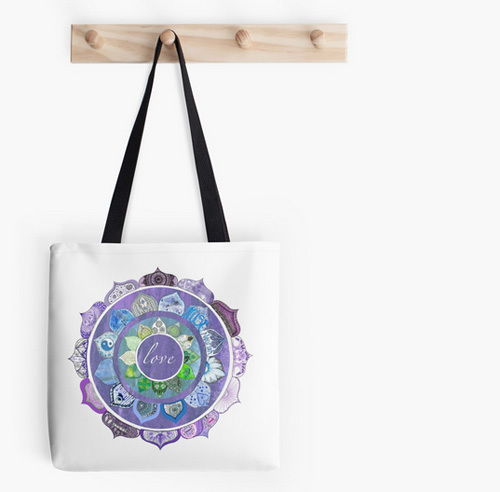 Find gorgeous mandala products like bags, travel mugs, phone cases and more featuring our Community Mandala Projects on the Red Bubble Store. SHOP: Positive Intention Lotus Mandala products on Red Bubble. SHOP: Radiant Lotus Mandala products on Red Bubble.